Portsmouth University is located in the city of Portsmouth, a large coastal port in Hampshire on the south coast of England. The population of Portsmouth is 209,166. Portsmouth is 64 miles by road from London and has direct trains to London and most other major cities in England. From Portsmouth harbour, ferry services run to France, Spain and the Channel Islands. The nearest airport is at Southampton which offers domestic flights as well as flights to destinations in Ireland, France, Spain, Italy, Germany and the Netherlands. London Heathrow and London Gatwick airports are some 60-90 minutes by road from Portsmouth. Gatwick Airport can also be accessed by rail via London Victoria and there are National Express coach services from Portsmouth to London Heathrow Airport. The average lowest temperature in the area is 0.5 degrees in January. The average highest temperature is 20 degrees in July. Portsmouth University began life in 1869 with the founding of Portsmouth & Gosport School of Sciences and the Arts. In 1908 the School became the Portsmouth Municipal College and Library focusing on chemistry and engineering to educate engineers and others working on the docks in the city. 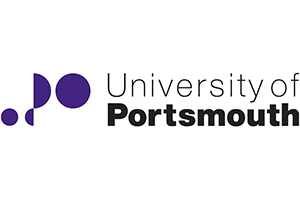 During the 1960s the College was renamed Portsmouth Polytechnic and in 1992 it received University status and became the University of Portsmouth. In addition to the traditional sciences, it has gained a reputation for teaching in Dentistry, Sports & Exercise and in recent years, Cosmology. 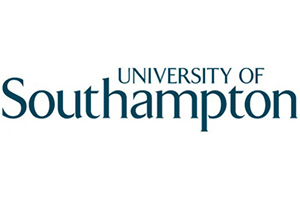 Portsmouth University is a campus university within a city location. The main University quarter is a group of buildings within the Guildhall area of central Portsmouth; this area contains most of the teaching facilities and halls of residence (with the exception of the Langstone student village and two halls, Rees and Burrell situated on Southsea Terrace on the city’s main esplanade). Langstone campus is located in Milton, on the eastern edge of Portsea, the island on which Portsmouth city is based. Portsmouth offers easy cycling and an efficient City Bus service. Students can also benefit from the University-owned inter-site shuttle bus service which operates throughout the day until midnight in term time. University of Portsmouth is ranked between 401-500 in the Times Higher Education rankings. Portsmouth is ranked between 501-600 in the Shanghai Jaio Tong rankings and is not a member of the Russell group of universities. University of Portsmouth is ranked =12th in the National Student Survey Satisfaction rankings. There are currently around 3000 international students at Portsmouth coming from 100 different countries representing approximately 12% of all students. Pathway entry for international students-International College Portsmouth offers foundation courses leading to degree course entry. The latest figures are 23,830 students in total, of which 19,685 are undergraduates, 4025 are postgraduates and another 120 are registered on other further education courses. HESA government statistics show that 92.2% of Portsmouth’s graduates are in employment or in further education 6 months after graduation. However, a breakdown of post-graduation employment by course, showing the split into professional/managerial positions, rather than general employment figures, is available from Unistats an independent source of university data. For more information, please visit the REF Information page. The area offers a great deal of opportunity for maritime pursuits such as sailing – the University enters a team in the Cowes Regatta on the Isle of Wight every year. A four mile beach is a short walk from the city centre. Portsmouth enjoys a lively pub, club and café scene as well as cultural events and venues. The University is situated on an urban campus site into which are incorporated green spaces, cafes and shops. The Student Union hosts 150 clubs both sporting and social. In addition to its own TV and radio stations the University also has a choir, orchestra, wind band and big band. University productions are performed in the New Theatre Royal. The Space Gallery hosts art installments within the University’s Eldon building which is home to its Creative Development and Cultural Industries faculty. The Spinnaker Sports Centre boasts indoor and outdoor sporting facilities. University owned accommodation comprises a number of halls of residence, both catered and self-catered. All are single rooms. Contract terms are 37 weeks. The University guarantees accommodation to all new international students and 75% of new UK/EU students for their first year. The halls of residence are mostly situated on the main Guildhall campus. The lowest price for a single room with shared bathroom and kitchen facilities is £88.00 per week. An example price for catered accommodation is £155.00 at Rees Hall. Fees for full time undergraduate courses start at £13,900 for all Classroom based degrees (most Arts & Humanities subjects) to £15,900 for most Laboratory based subjects. Portsmouth offers a wide range of postgraduate courses which can be studied flexibly to aid professional development. Subjects include Accounting, Economics and Finance, Art & Design, Business & Management, Computing, Education, Engineering, Health Sciences & Social Work, Law & Criminology, Modern Languages and Psychology.